DOES YOUR TEAM RECOGNIZE DIVERSITY AS AN OPPORTUNITY? Understand and leverage differences for greater results. See Championing Diversity in action now. With globalization of markets, high-profile legal actions, and an increasingly diverse labor pool, companies are faced with great challenges when it comes to embracing differences. 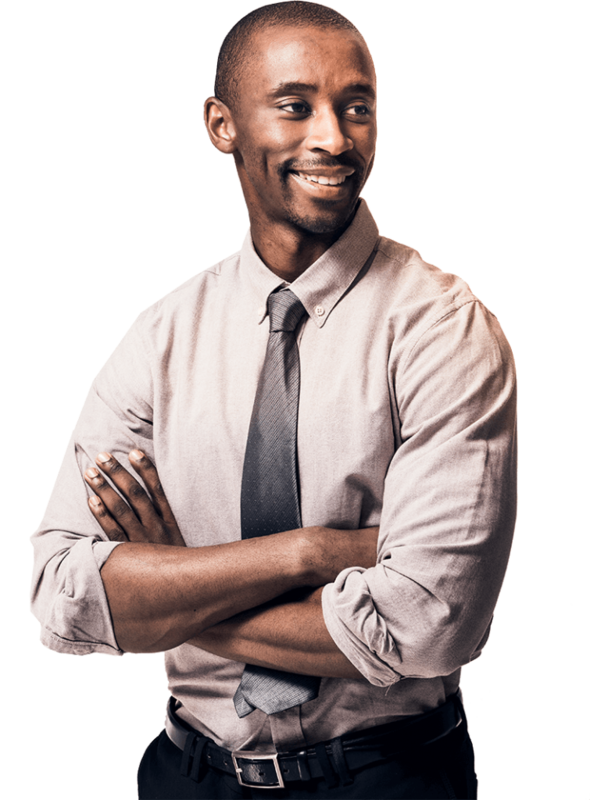 The FranklinCovey Championing Diversity solution uses six simple steps to help participants learn how to increase understanding and deepen trust, communicate more effectively, achieve higher levels of collaboration, and boost creativity and innovation—together. "We think we see the world as it is, when in fact we see the world the way we are." 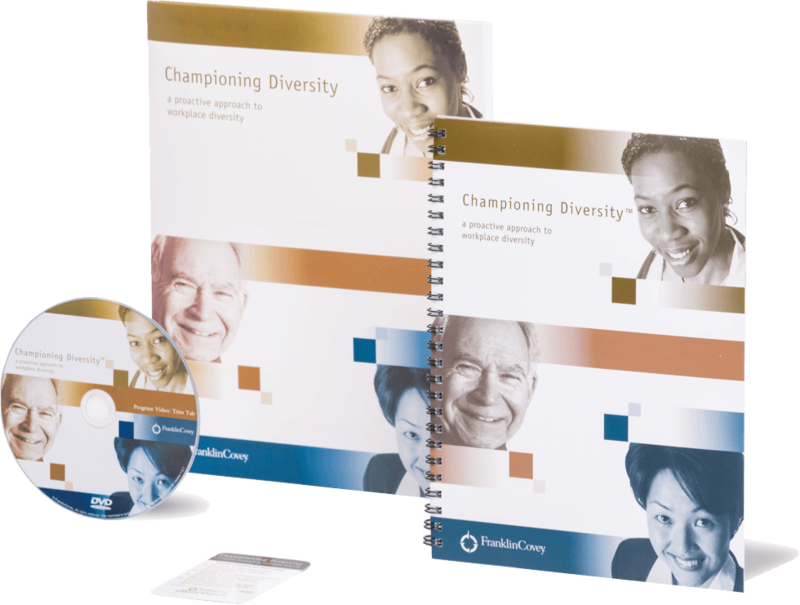 Achieve greater results by championing the diversity of your workforce. 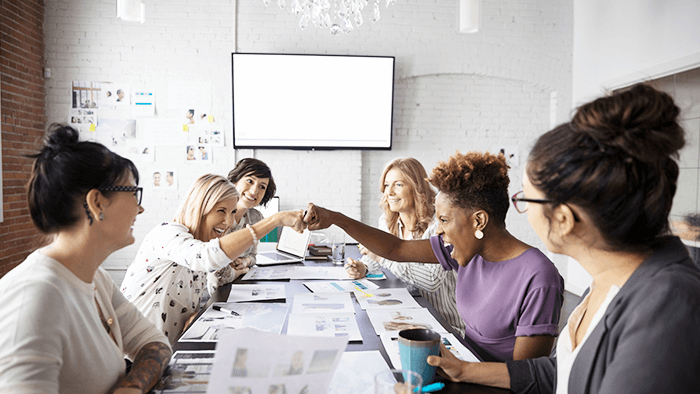 Master collaboration and trust—be a diversity champion. Imagine an organization that goes beyond mere tolerance. One that takes the perspective that each employee, regardless of race, ethnicity, or gender, is unique and can make an irreplaceable contribution—as long as that uniqueness is sought out, embraced, and celebrated. We help our participants learn how to understand diversity, then actively seek out and leverage differences in order to achieve better, sustained results. Embrace and celebrate the uniqueness of your team members. By championing diversity, you can unleash the power of your employees. 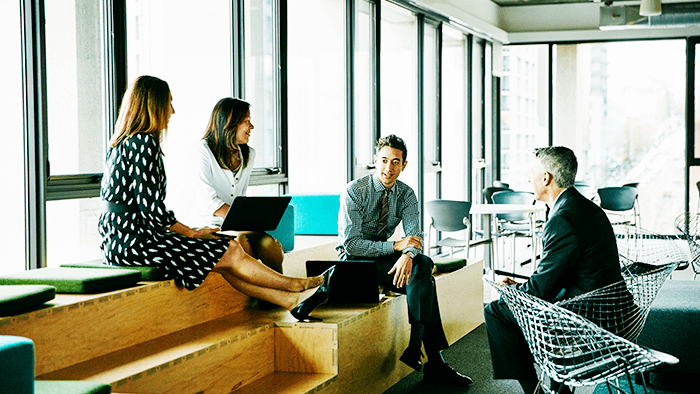 From this foundation of collaboration and understanding, innovation and trust will flow through your workforce, driving your organization toward otherwise unachievable results. This dynamic one-day work session will help your employees work together in new and productive ways. Recognize the value of each employee’s unique contribution. Fill out the form for more information about this solution. Megértésedet köszönjük! Ha észrevételed van, bátran lépj velünk kapcsolatba és ne felejts el sűrűn visszalátogatni!